"Getting on the scoresheet here will give Everton a decent chance, as it was the growing tendency to concede that led to the dip in Leicester's home form last season." Claude Puel's Leicester continue to lurch between the extremes, having had four wins and three defeats in their first seven Premier League games. They are on a high again after back-to-back victories over strugglers Huddersfield (3-1 at home) and Newcastle (2-0 away), with an EFL Cup win on penalties against Wolves sandwiched in between, and are eighth in the table with 12 points. A definite bright spot is James Maddison, their £24m purchase from Norwich who is turning out to be one of the buys of the summer. Opta tell us he has created more goalscoring opportunities (15) and had more shots (15) than any other Leicester player in the Premier League this season, while no player at the club has scored (3) or assisted (2) more goals than the midfielder. Puel likes to tinker with his formation and line-up, and a potential change would be to restore Rachid Ghezzal to the midfield, but he must be tempted to stick with the winning team from Newcastle. Demarai Gray is still sidelined with an ankle injury. Everton bounced back from consecutive defeats in the Premier League with a resounding 3-0 home win over Fulham last Saturday, although that was followed in midweek by their EFL Cup exit on penalties after a home 1-1 against Southampton. A mixed start under new manager Marco Silva (two wins, three draws and two defeats) leaves them in 11th place on nine points. Silva has selection dilemmas as he searches for his best team, with right-back Seamus Coleman and central defender Yerry Mina reportedly close to returning from injury. Bernard has made a strong case for a first Premier League start, having come off the bench to set up the third goal against Fulham and then produced a good performance in playing the full EFL Cup game. Bringing in the £21.5m winger on the left would allow Silva to play Richarlison centrally, where Cenk Tosun and Dominic Calvert-Lewin have yet to convince. There is a sense that these teams are both works in progress but perhaps Leicester - with Puel having been in post for longer than Silva - are looking more the finished article. Two of Leicester's three league defeats this season have been against big-six teams - even if their opening-day loss at Manchester United does not read so well now - and the only other team to beat them is Bournemouth, who have started well and currently lie seventh. The Foxes have won all three games against teams from the bottom half of the table and at home they have won two out of three, losing only to Liverpool. Towards the end of last season, however, Puel's team lost focus at home and won only one of their last eight and there is still concern over whether there is an underlying weakness. Everton have started the season less solidly than Leicester, although they looked in decent shape until the 3-1 home defeat to West Ham. That was followed by a 2-0 loss away to Arsenal, but at the Emirates they were the most threatening team until going behind just before the hour mark. The Arsenal match was their one failure to score this season and getting on the scoresheet here will give them a decent chance, as it was the growing tendency to concede that led to the dip in Leicester's home form last season. Under Puel, Leicester have won only three out of 12 at home when the visitors have scored. Equally, however, it is difficult to place too much faith in Everton, given that they have kept just one clean sheet in their last 12 Premier League away games and conceded exactly twice in all three on the road this season. Five of Everton's seven league games under Silva have had over 2.5 goals and for further evidence of the manager's attacking approach it is worth looking back to his early days at Watford last season. 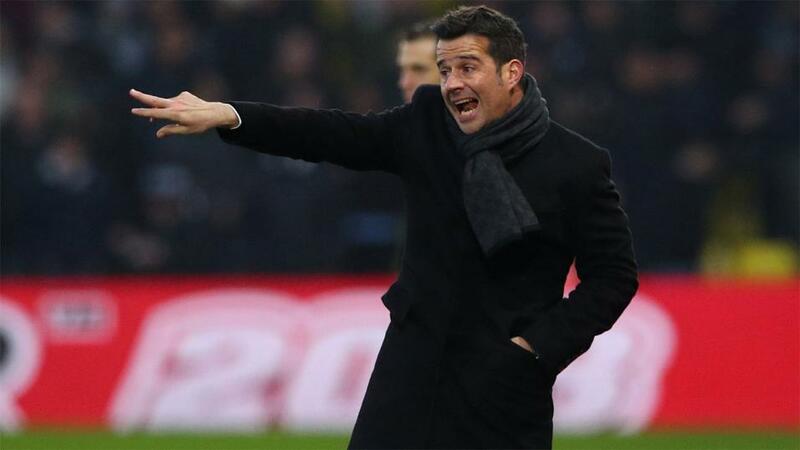 In the period prior to a reported approach from Everton for Watford's permission to speak to Silva about their then vacant managerial position, his team were involved in overs matches seven times out of 11. Silva's philosophy is not matched by the more cautious Puel, but Leicester's tendency to concede at home points to both teams to score as a decent bet at [1.75]. That has happened in seven of Leicester's last ten home league games, and in five of Everton's seven league games overall this season. In those last 12 away games for Everton that have brought only one clean sheet, both teams have scored in eight of them. Leicester against Everton is the only fixture in Premier League history to have been played at least 20 times and seen more than 50% of those games end as draws (13 of 24, 54.2%), though none of the last six have been stalemates. The draw can be backed at [3.5].